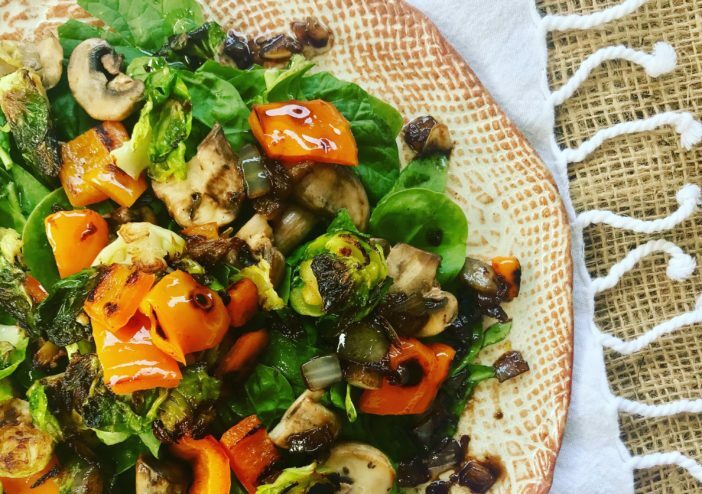 Who doesn’t love a Roasted Veggie Salad with Onion Balsamic Dressing drizzled on top? Well, check out this de-licious duo, and soon you’ll find that it’ll be an absolute favorite at your table, too! Heat avocado oil in small pan on medium. Add garlic for 30 seconds. Then add onions, salt, and coconut sugar. Cook for 2-3 minutes, until onions are softened. Stir in balsamic, and cook 1 minute. Remove from heat and pour over the sautéed veggies and spinach. Arrange spinach on clean platter, add the sautéed veggies, and drizzle the “to die for” balsamic dressing on top. “Wa-la! 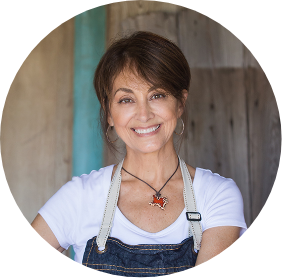 !” The perfect dish to serve to your company for lunch or dinner…I promise!